Padding: simple pads will take pressure off of the bunion and alleviate the pain and blistering. Shoe sizing: As we advance in age, our feet change. Have Dr. Reddy measure your shoe size to determine if you need a better fitting shoe. Orthotics: If the way your foot hits the ground is the cause of your problems, an orthotic shoe insert will correct the way you walk and work towards taking pressure off of the bunion, thus alleviating the pain. If these treatments are not enough, we may need to try a more aggressive approach such as surgery. Nevertheless, Dr. Reddy always makes surgery his last resort. In addition to the usual surgical risks, there is no guarantee the end result of bunion surgery is any more cosmetically pleasing than your natural foot and over time your feet may revert back to the way they were. 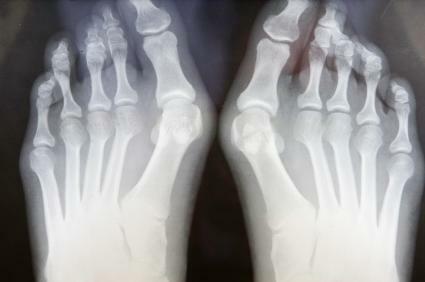 However, a trained and experienced podiatric surgeon will know how to address these risks.